I just can't seem to get enough of colouring in these days, so I'm running with it! I recently bought a new printer, for a grand total of FIFTEEN dollars (thank you back-to-school specials woot!) and oh my word it's a gem. Its a little Canon, and honestly, it does a better job than my more-hundreds-of-dollars-than-I-care-to-remember HP printer that I bought about 5 years ago. So far ZERO problems. Prints quickly and cleanly. I'm in love. ANyway, due to the aforementioned dreamboat printer, I'm all about the digis this past couple of weeks. Tiddly Inks have always been a favourite of mine, so I had a peek around their store last week and holy moly what a load of GOODNESS. You should check them out immediately. 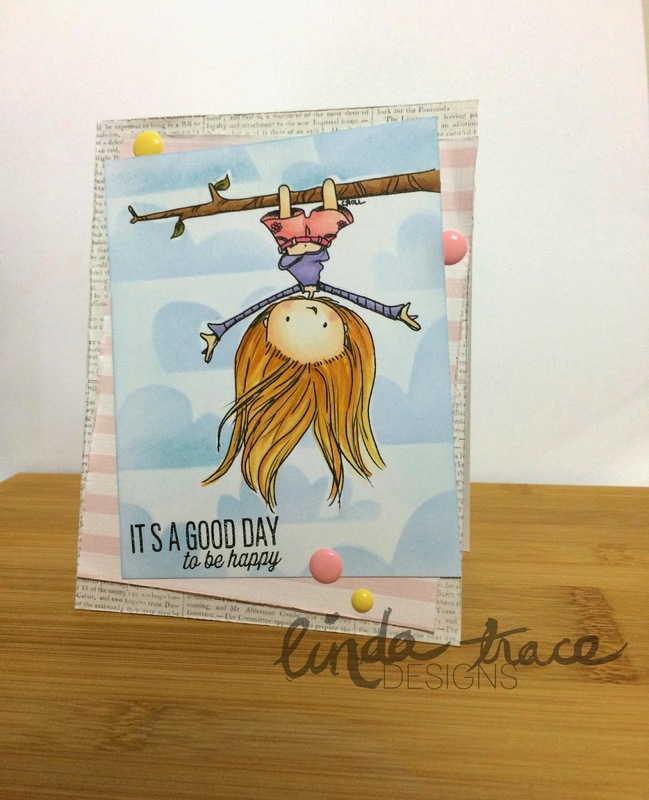 For this card I used the Hanging Around Gwyn image, which is adorable. For the clouds I used Balzer Designs stencil, and the sentiment is Mama Elephant Up and Away, papers are from an 8x8 paper pad by Merci. In love with those layered papers and the sentiment so perfect for that sweet image! Where did December Go and Happy New Year!